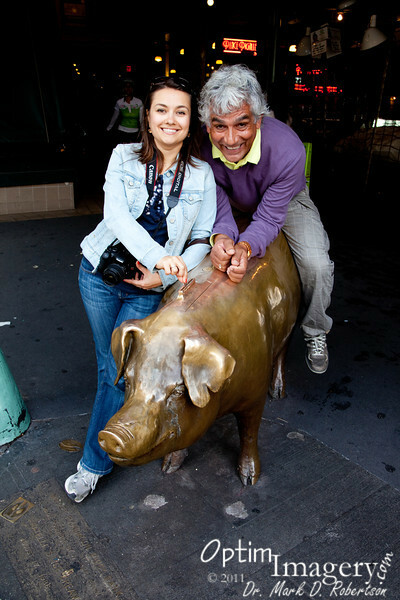 As Olga feeds her, mario rides on the back of the 550-pound bronze pig named Rachel. The unofficial mascot of Pike Market, Rachel raises $6,000 to $9,000 per year in a combination of many different world currencies. The funds are used to maintain the public market.